Swing above the city. Write your wishes a letter. Wear a swaying blooming flower dress. Drink tea from a doll tea set. Row a paper boat. Draw your wanderlust. Daydream and nightthink. Photograph layers in time. Have a sunset picnic. Save far away galaxies in a jar. Paint your future. Get lost in books. Live in a sand castle. You’re tired of the daily grind. You want to change the way you do things. You know you’re creative, but you’d like to infuse more creativity into your daily life. No more boring habits, but a lively, playful and curious lived life. You want to shine as your true self. In your own special way. I’ll show you how to live your creativity. Because you are creative! Even if you don’t feel you are now. Everything you need is already inside you. With my help and guidance you will learn how to use it and create magic. I’ll teach you to overcome your perfectionism and how to find your own creative voice. Do you want to adorn your life? In Create Creativity I’ll teach you how to in a month. Each day, for 30 days, you will receive a lesson in your inbox. The lessons are jam packed with information, writing -, photography- and painting prompts, special creative exercises, guided meditations, audio and video. After 30 days you’ll know how to use your creative power to celebrate your life and you’ve made some very special pieces of art work. Do you want your life to be bigger, brighter, happier, healthier and more interesting? I want to Create Creativity and I’ll pay € 95. Overcoming your negative convictions and fears. Meeting your Inner Critic and other opponents. Meeting your best friend: The Creative Creatress (and learning how she can help you 24/7). Self-care and creativity, and how one can’t exist without the other. Finding your unique creative voice: originality vs authenticity. Meeting your Inner Child (and how she can teach you how to play again). How to make space and time for your creativity? Where can you share your work with others? Which platform is right for your type of creative work? Where to find inspiration? What to do when you’ve lost your inspiration? How to feel free to create and experiment? Why is it important to live in the here and now when you want to live a creative life? What’s the use of creative expression? Learning tools to translate your inner landscape into creative work. The vulnerability it takes to share your work. How to stay relaxed? How to avoid overstimulation? How to keep growing artistically? You click the sign up button. Within 24 hours after signing up you’ll receive a confirmation. 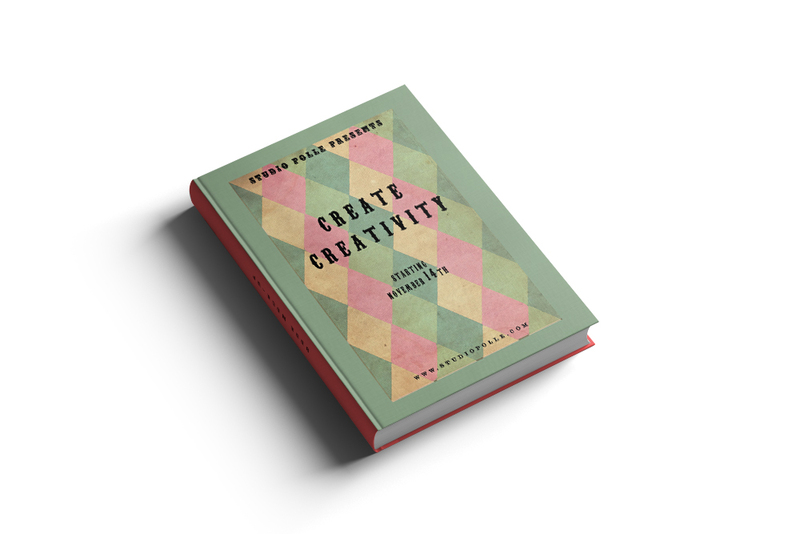 Create Creativity is a 30 day e-course. For every day, during these 30 days, you’ll receive a lesson in you inbox. You can do the course within the 30 day period, but you can also choose to do it at your own pace. We’ll be starting on Monday November 14 2016. On this day you will receive your first lesson. If you’d like to share the work you’ll create during the course on social media, you can do this by using the hashtag #createcreativity. This way the other students will be able to find you and the beautiful work you’re creating. During the e-course it is possible to schedule an hour long one-on-one mentor sessions with me for a special price of € 65.